Audiologists are trained to identify, treat and prevent hearing loss. They hold masters or doctoral degrees from accredited universities and work in a variety of settings, including clinics, hospitals, educational institutions, speech and hearing centers and private practices. Many audiologists are involved in hearing aid research. 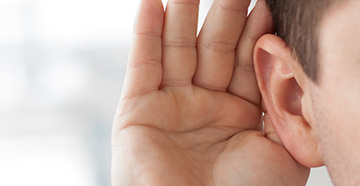 Your audiologist provides both clinical and counseling expertise. During the hearing evaluation, your audiologist will conduct a number of tests to determine whether you have a hearing loss and whether it can be addressed with hearing instruments. You'll talk about your lifestyle - whether you work or go to school, how you spend your leisure time and other factors - to determine the best solution for your needs. Your audiologist may also counsel your family members explaining how to communicate more effectively with you. During the evaluation, your audiologist will use calibrated equipment (called an audiometer) in a specially equipped room. Your audiologist will look at your eardrum, remove any wax, explain your hearing condition, refer you to a physician (if necessary) and select and fit your hearing instruments. You'll talk about what you can expect from your hearing instruments, and you may also learn about other resources available to you, such as auditory training and speech reading. 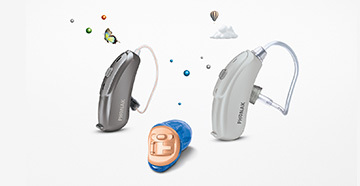 An important part of your appointment is evaluating how well different hearing instruments work for you. There are many different styles, sizes and performance features to consider. 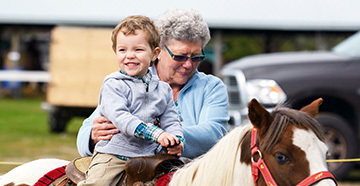 Your lifestyle, hearing loss and budget are important factors in this evaluation. Often times, your audiologist will demonstrate some of the different types of technologies and styles for you during your visit. Once you have selected and been fitted with your hearing instruments, your audiologist will show you how to insert, remove and care for them and, if applicable, how to adjust them for your different listening situations and environments. Hearing instruments are usually covered by a 30-day adjustment period, giving you time to get used to them and your audiologist an opportunity to fine tune them, if required. At Longhorn Hearing, PLLC, you will be given a 45 day FULL REFUND trial.